Come Learn and Grow with us. Renewable energy. Water conservation. Waste management. Air pollution. These are only a few of the many issues facing us today. On April 22 and 23, Earth Day Dallas will seek to plant environmental seeds that will flourish throughout our world. The goal of the festival – spanning the entire length of Flora Street in the Dallas Arts District – is to become an annual, green living summit for the city. Earth Day Dallas will feature two days of events focused on inspiring and educating Dallas with various ways to think, work, and live green. 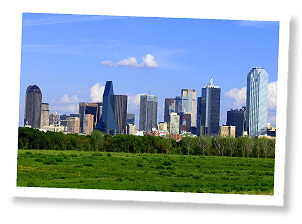 From the Chevrolet test track to live entertainment at the Annette Strauss Artist Square, lectures from environmental leaders to Trinity River education stations, there will be no shortage of activities. It is an exciting time for North Texans to come together to learn how we can all make a positive impact on our community and our world and how we can grow a greener Dallas together. As you listen to speakers, view exhibits, have a picnic, or listen to music, you will realize it is not up to someone else to save our environment – it is up to all of us.